Colt Model 1910 Automatic Pistol Serial Number 6, Caliber .45 ACP - One of eight Model 1910 pistols made, this piece was later modified by the addition of a hand made thumb safety and an experimental right grip panel. 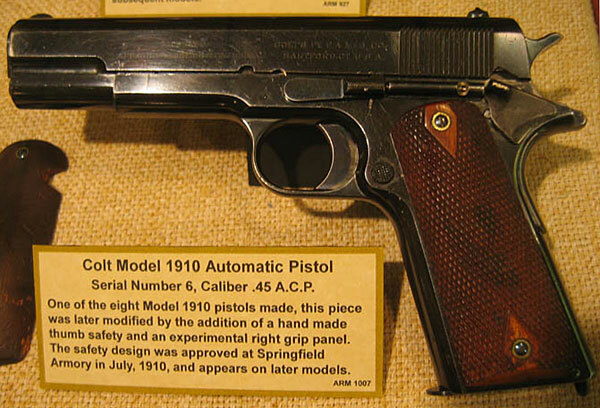 The safety design was approved at Springfield Armory in July, 1910, and appears on later models. ARM 1007.